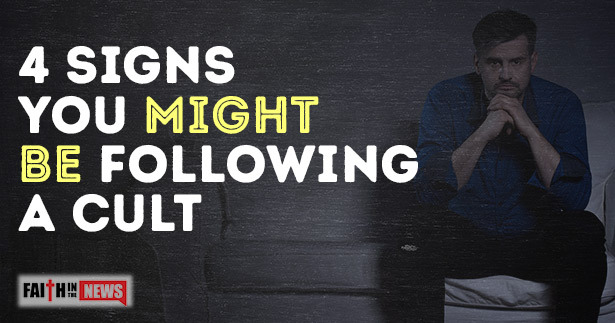 Here are four signs that you might be getting drawn into a cult. What I mean by a dictatorial leader is a leader of the group who is so controlling, that no decision can be made without his or her authority, in fact, no one can even join this “church” (if indeed it is one) without having been screened and interviewed by the church’s leader. Sometimes members are even pressured from leaving. When there is this much control by only one person, you may be in a cult, because Jesus never forced Himself on anyone and His church doesn’t operate that way because we’re all accountable to one another, including every church leader (pastor included). If you find that you’re investing far too much of your time and way to much of your resources for the “church,” you might be in a cult, because believers are told to give with a cheerful heart and not out of compulsion, guilt, or by pressure from the leader (2nd Cor 9:7). If you know someone like a friend, family member, or even a co-worker who suddenly has no time for you because of their involvement in this group, they could be in a cult. One of the clearest signs of being in a cult is that it is highly secretive and the teachings are kept strictly confidential. In fact, members may be kept in isolation by a dictatorial leader in a church that resembles more of a prison than a church. When you are beginning to be watched outside by the “church” and outside of church activities, and maybe even kept (or even threatened) from leaving, you could be in a cult, especially if you find yourself being isolated from your friends and family. Some cults place way too much emphasis on non-essentials in the Bible, like the dietary laws or the Old Testament holy days, but then they ignore the central issues such as sin, faith, repentance, sanctification, growing in holiness, and living a godly life by being a follower (or disciple) of Jesus Christ. When the focus is too narrow on things outside of the centrality of Christ, then you’re not only in a bad church, you might even be in a cult. There are certainly more signs than these that you might be following a cult or someone you know is, but if you notice that the leader has too much power, if they are squeezing all of your time and money out of you, if they are very secretive about what goes on there, and if they put too much emphasis on things that are not essential in the Bible, you could well be in a cult.